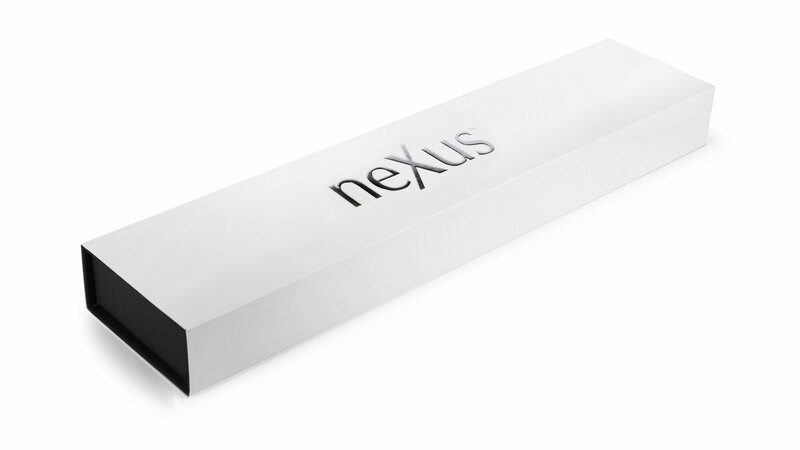 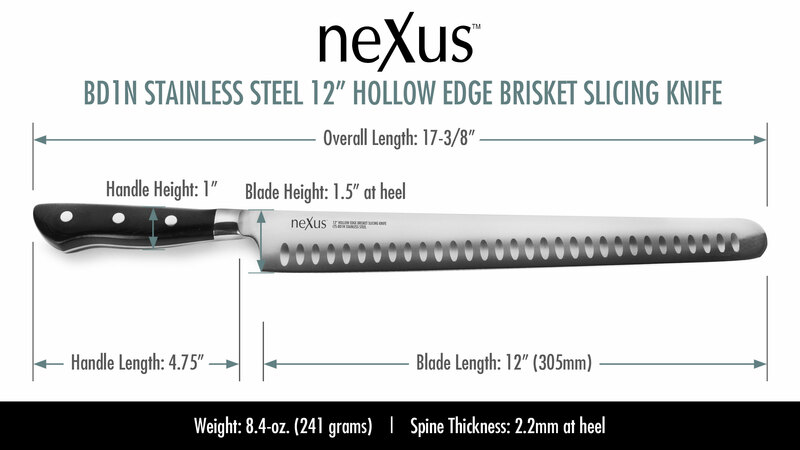 The Nexus BD1N Stainless Steel Hollow Edge Brisket Slicing Knife is ideal for trimming and slicing larger cuts of meat, including brisket, ham, turkey, and roasts. 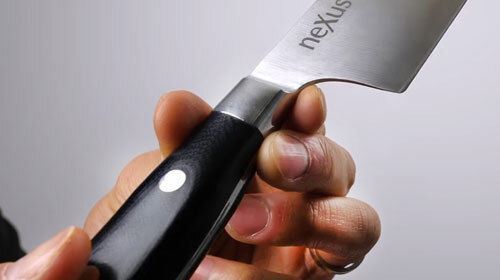 The long and narrow blade makes it easy to cut slices in a single pass to ensure more of the juices and flavor stay inside the meat. 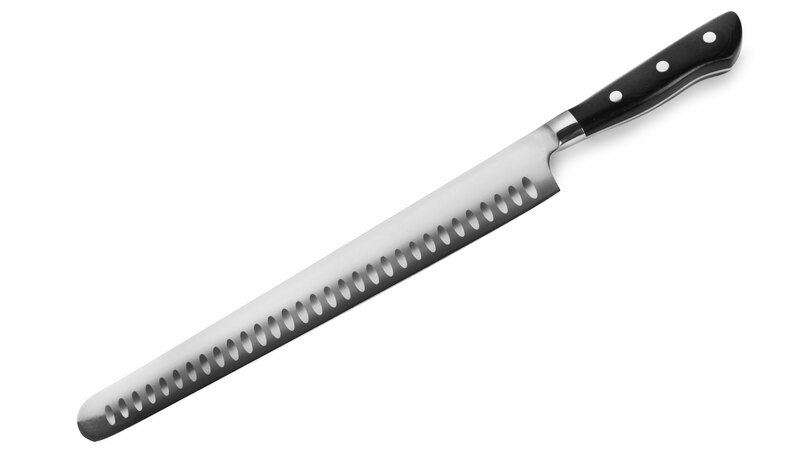 Slices will look perfect since there's no need to saw back and forth. 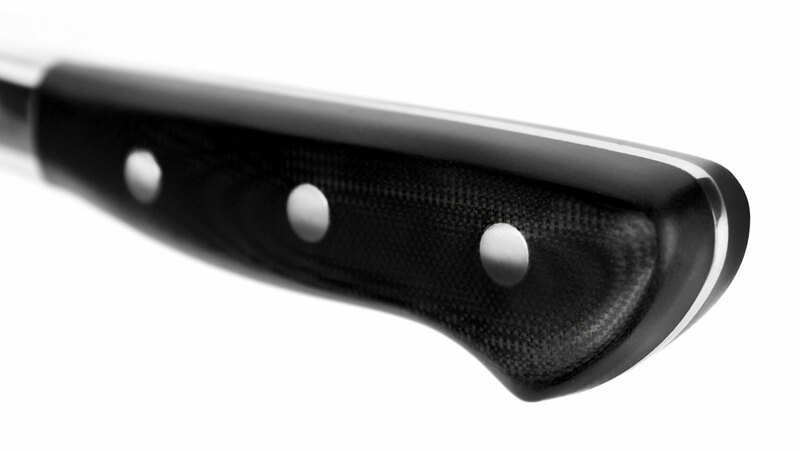 The hollow edge indentations on the blade help food release more easily and the rounded tip makes the knife safer and easier to use. 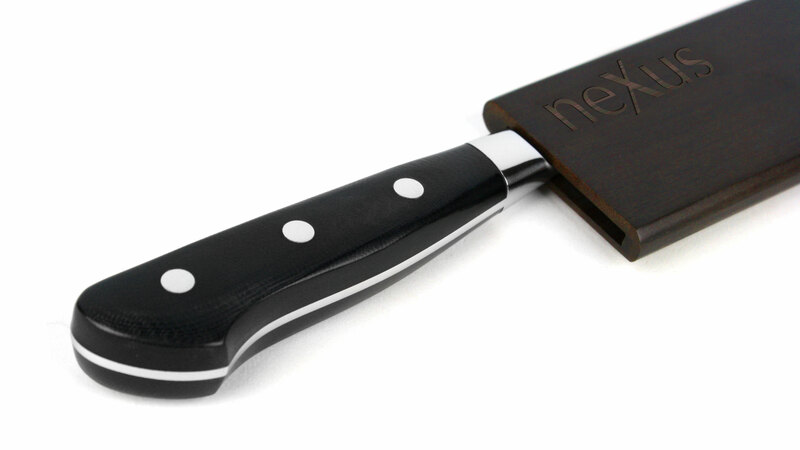 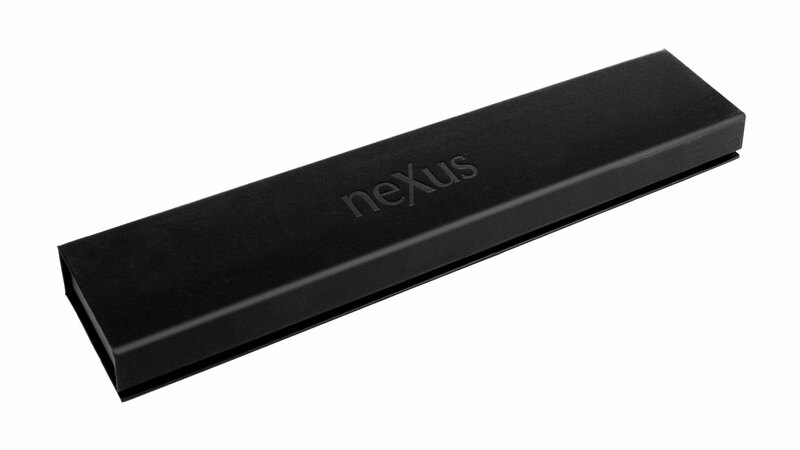 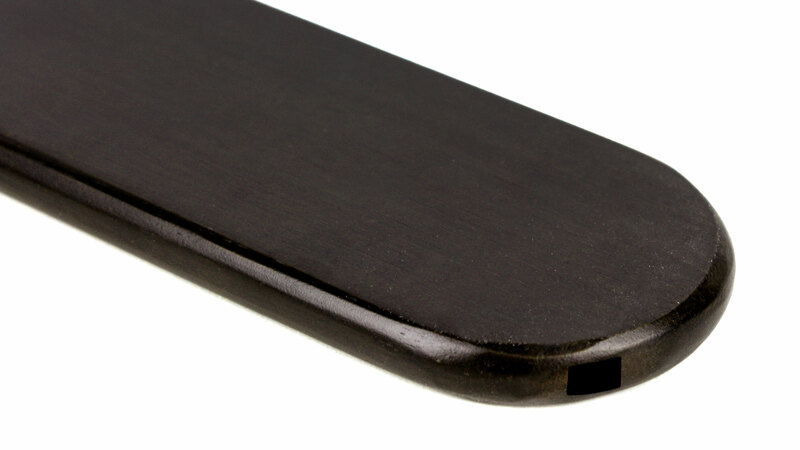 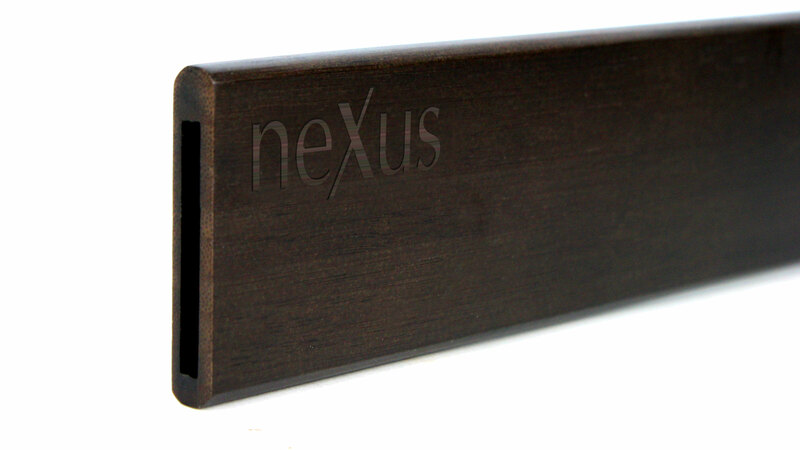 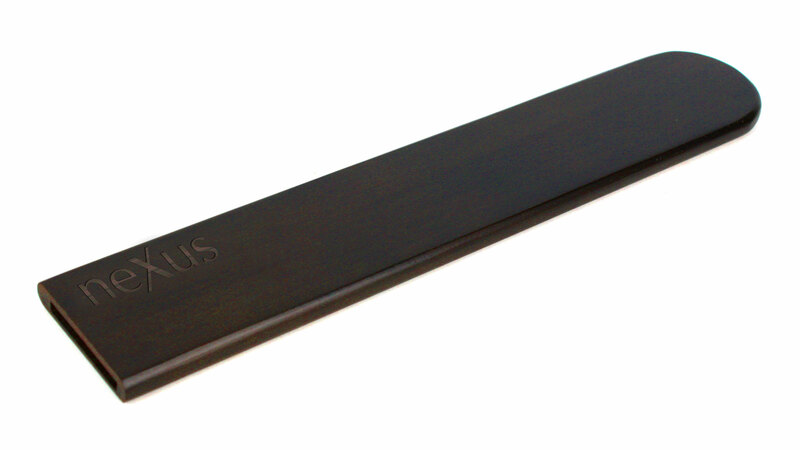 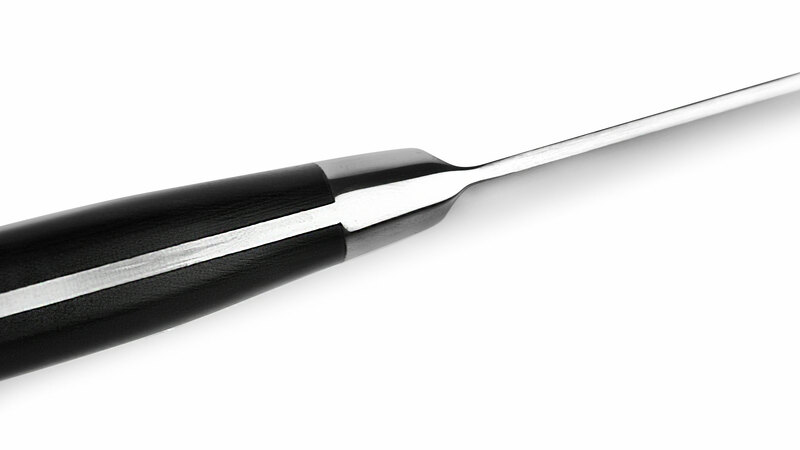 The Magnetic Sheath is designed to protect your Hollow Edge Brisket Slicing Knife when not in use. 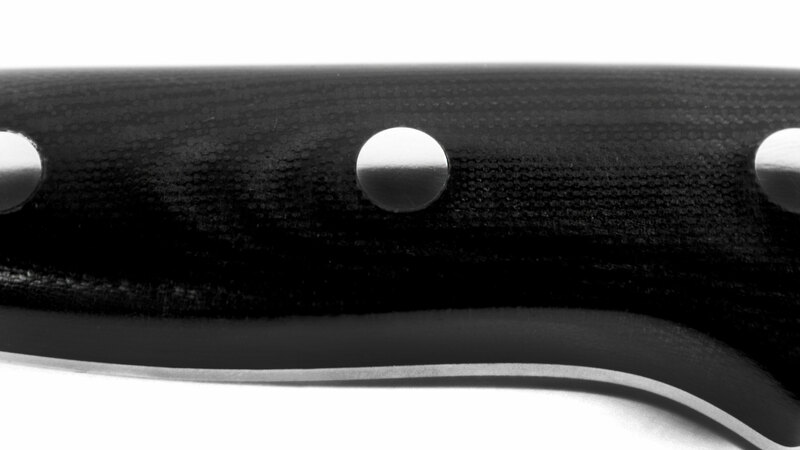 The bamboo housing features interior magnets located along the edge of the sheath which prevents scratching of your knife blade when a knife is inserted or removed. 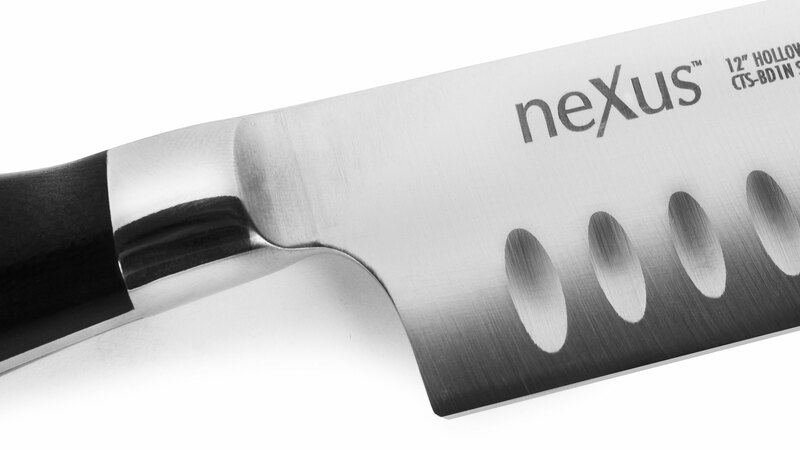 It's important to align the spine of the knife with the magnets to achieve maximum hold. 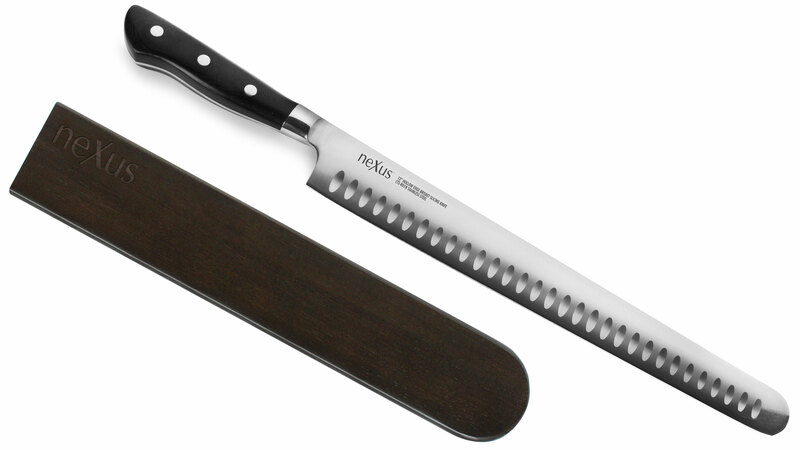 https://www.cutleryandmore.com/nexus-bd1n-stainless-steel/hollow-edge-brisket-slicing-knife-magnetic-sheath-p137822 37822 Nexus BD1N Stainless Steel 12" Hollow Edge Brisket Slicing Knife with Magnetic Sheath https://cdn.cutleryandmore.com/products/large/37822.jpg 79.9500 USD InStock /Cutlery/Carving & Slicing Knives The Nexus BD1N Stainless Steel Hollow Edge Brisket Slicing Knife is ideal for trimming and slicing larger cuts of meat, including brisket, ham, turkey, and roasts. 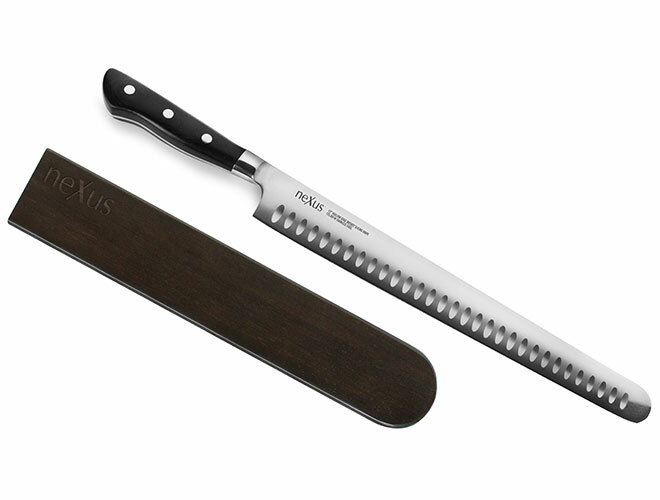 The long and narrow blade makes it easy to cut slices in a single pass to ensure more of the juices and flavor stay inside the meat. 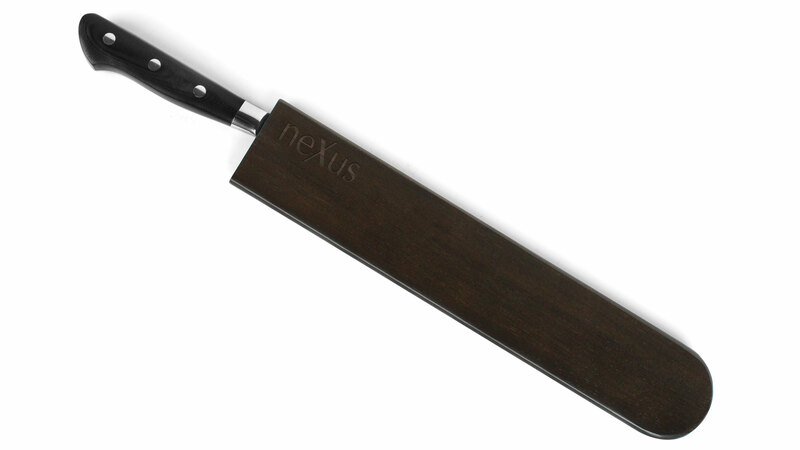 Slices will look perfect since there's no need to saw back and forth. 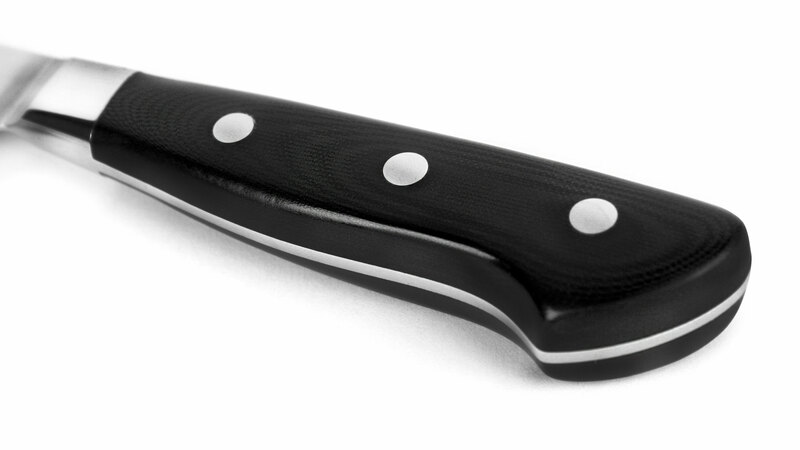 The hollow edge indentations on the blade help food release more easily and the rounded tip makes the knife safer and easier to use.